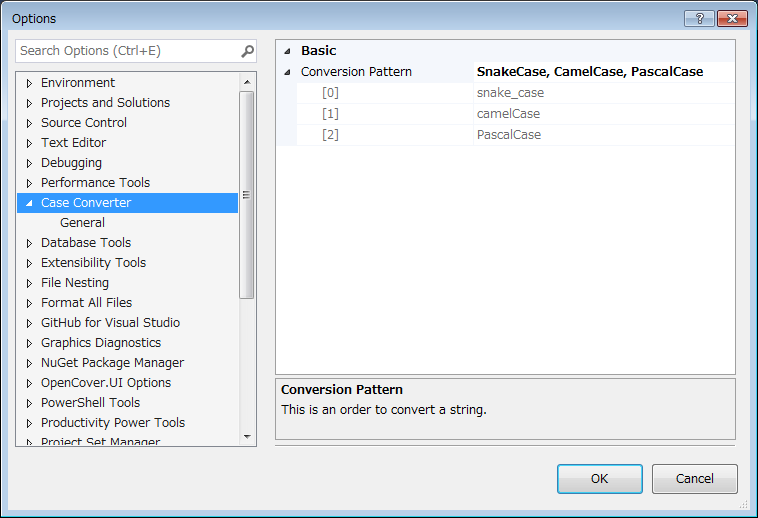 This is a simple visual studio extension to convert text between snake_case, camelCase and PascalCase. 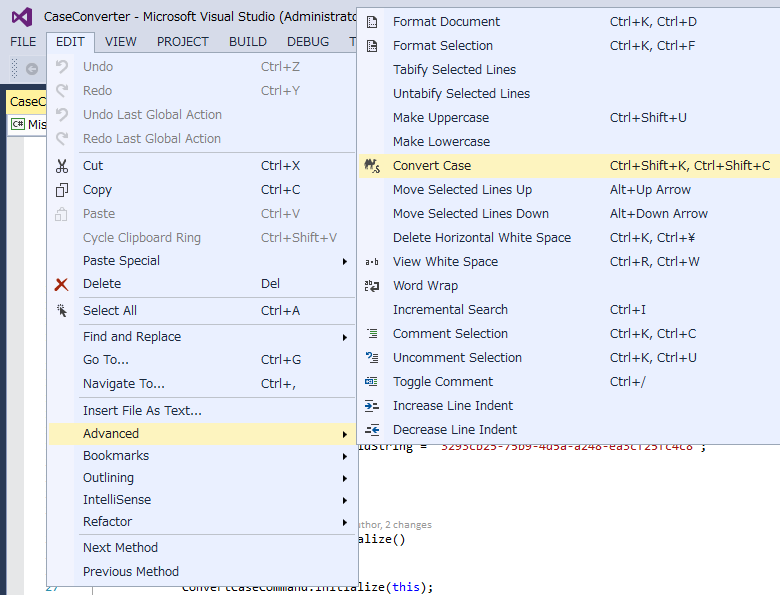 Case Converter is a simple visual studio extension. 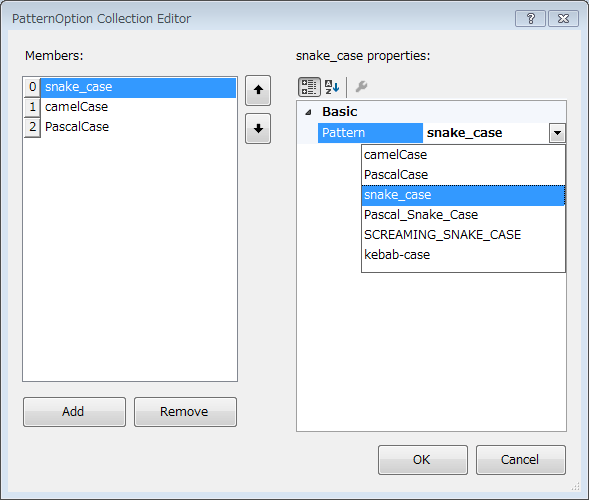 It converts a selected text between snake_case, camelCase and PascalCase. Click the context menu "Convert Case" or the following shortcut in a source code window, you can convert to different cases. The command name is "Edit.ConvertCase". This is a following toggle key. When a selected text is included some signs or separated words, this is converted to any case. "Edit" -> "Advances" -> "Convert Case"
You can change the option in "Tools" -> "Options" -> "Case Converter". If you want to change word cases and order the conversion pattern, set this option. Add an option to change word cases and order the conversion pattern. Change the behavior to detect the word underneath cursor when nothing is selected. Fix bug that the selected text is empty. Fix bug that it doesn't work when VS2015 is not installed.